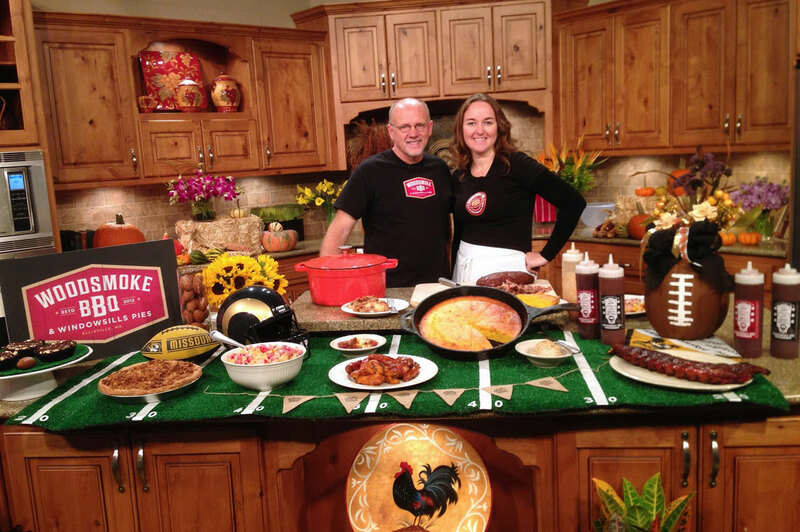 Owners Bernadette Faasen and Jeff Allee huddled with Heidi Glaus this morning, live on the set of Show Me St. Louis, to talk about why BBQ and football are a perfect seasonal combination. From BBQ ribs and smoked chicken wings to our Caramel Apple Walnut Crumb pie – it all pairs well with the pigskin celebrations coming up this weekend. Watch the live segment here. Enjoy the game day action with our Game Day Special – Smoked Chicken Wings served with spicy, traditional wing or cajun sauce! Or, we can put together a touchdown meal for your team. Call 636-527-6400 to order soon!